Rabindra Nath Tagore’s national anthem ‘Jana Gana Mana’ and Muhammad Iqbal’s national song ‘Sare jaha se Accha’ surely ignites the love for one’s motherland whenever they are played on occasions of national importance. The closest to these two iconic national anthem and national song somes ‘Aye mere watan ke logo’ sung in the ethereal voice of Lata Mangeshkar. The song was composed and produced during the Chinese aggression in 1962. The song still brings tears to every Indian and patriotism is evoked every time it is played on television or radio on occasions of national importance. But Bharat Ratna and Assam’s pride Bhupen Hazarika also composed and sang a couple of very soulful and heart-touching songs during the Chinese aggression. Those songs though did not get national attention, may be because of its language barrier are no less patriotic and soul stirring like ‘Aye mere watan ke logo’. ‘Koto jawanor mrityu ho’ and ‘Tirap ximanta’ still reverberates in every heart of every Assamese. Even Arunachal Pradesh which was then in undivided Assam also holds the songs of the balladeer close to its heart. 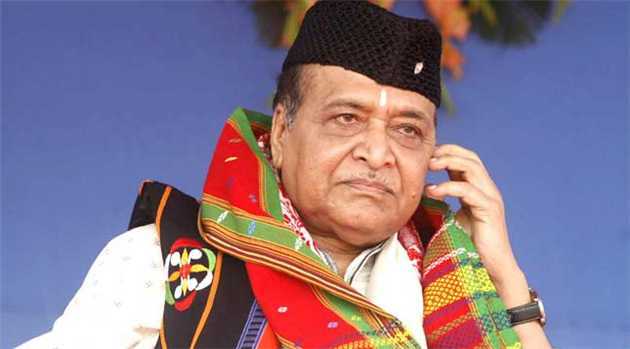 Bhupen Hazarika composed those songs to ignite patriotism among the jawans of the Indian Army and also indigenous people of the Northeast who fought with all their guts against the Chinese Army. Even the then Prime Minister Late Jawaharlal Nehru and those at the helm of power in New Delhi thought that the Northeast is gone and lost to China. But every north-easterners fought and defeated the Chinese to remain with India. Bhupen Hazarika’s songs may not have achieved that national importance like the one sung by Lata Mangeshkar, but they are poignant with emotions and patriotism. The All India Radio had produced a programme under the able stewardship of Basudha Banerji way back in 2007 to commemorate 80 years of radio broadcasting in India where the song by Bhupen Hazarika featured. Now that our beloved Bhupenda has been bestowed with the the highest civilian award, the ‘Bharat Ratna’, the relevance has resurfaced for all to listen to him. The radio documentary is not only a tribute to the legendary music maestro but also an attempt to immortalize the songs composed by the balladeer to evoke patriotism and love for one’s motherland for all, the jawans of the Indian Army and also the indigenous people of the region who fought relentlessly against the Chinese to remain with India.